The 6 step method contained below is logical fast track method to upgrading your career and is easy to sell to potential employers. With good people in short supply, companies are starting to focus more on skill sets and characteristics that easily transfer to their open jobs. It’s also a great way to change the direction of your career while utilizing your strongest assets. Identify your skills. Ask yourself what skills companies find valuable, then list them in order of strength. Search openings by those skills. Focus only on jobs requiring some mixture of your strongest skills. Create customized responses for each posting by expanding details on skills you have developed in past jobs that match their job requirements. Yes, this means every application you complete or every resume you send-out will be different from the last one to address your skill transfer to their opening. Don’t Apply for Every Job. Instead, concentrate maximum effort on the best matches for you by skills listed. Prepare for your interview before you get called. Though obvious, most people place little importance on it. In fact, research the company before you apply because your first call you receive will be a short phone interview. You will not have any advance notice and you must sound intelligent. Preplan follow-ups, phone calls, and paperwork. Do your homework and sound informed by having something meaningful to say. No matter what your background, during your job search it is in your best interest to stop focusing on job titles and start concentrating on your skills. Companies make this easier on you by listing in their postings the jobs skills they view most valuable. Start new job searches by looking for positions utilizing different variations of your strongest skills. This search will likely produce job opportunities that are skills compatible with titles you may not have considered in the past. “Prepare” to enjoy better results! Unfortunately, your boss or supervisor can make or break your career so it is critical they view you favorably. While this is not a great method, it is an undeniable fact many bosses are only in their position because they outlasted all other people above him. However, to succeed in life as well as in your career, one must learn to deal with less than amiable people in positions above you, below you, and in your personal life. 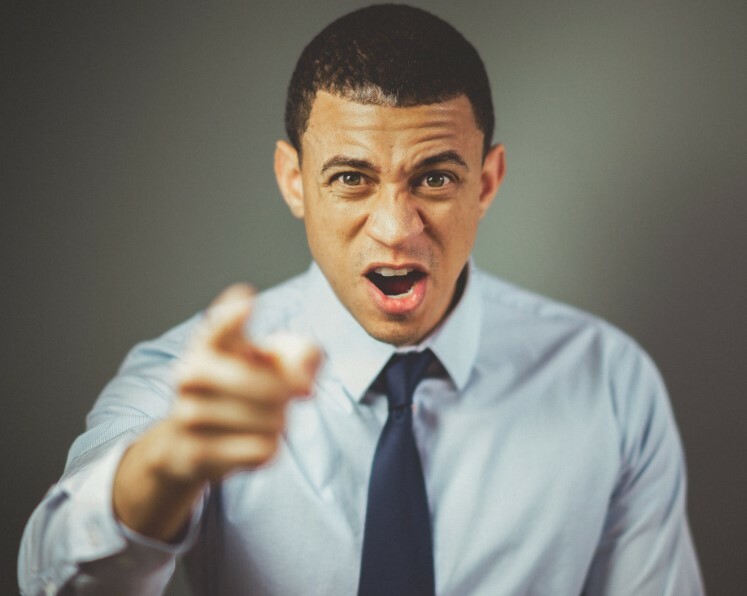 It could be your boss’s personal temperament. If so, it likely indicates their bark means less than you attribute to it. Unfortunately, not everyone knows how to effectively work with other people or willing to practice it if they do. Rude and unhappy sounding people are probably rude and unhappy at home also. Meaning, it is nothing personal against you. While it does not excuse bad behavior, this is real life not a rose garden. Don’t take it personally. Try to understand your boss’s motives and job pressures. Ask what they really need out of your position and get feedback as you go along. Work to fulfill expectations. Lastly, make an effort to greet your supervisor each day and make small talk when appropriate. Not only will this go a long way to improving communication and your work environment, but it is contagious to all those around you. It really does work. In a recent article by Jeffrey Bartash, he says wage gains for private-sector workers are at a 10 year high. With unemployment at its lowest in 50 years, workers across the board are enjoying greater wage and benefit increases than ever before. On average, compensation increased 3.1% in the last 12-months with manufacturing trailing at 1.9% and public relations and entertainment positions leading at 4.8%. Since 2016, the economy has been on steroids and so has the creation of new jobs. The result is a shortage of workers with wage increases being business’s solution to increase their access to good candidates. Recent surveys indicate the greatest wage increases are enjoyed by those leaving positions for new ones. Either way, this is good news for those looking for a job, to change their job, or needing a job upgrade.